Do you need more living space on your property in Hawaii? You should strongly consider building an ADU in Honolulu. In this article, we will take a close look why ADU Hawaii is gaining more popularity as time progresses. We will also cover the advantages of getting an ADU in Hawaii. What is an ADU in Honolulu? An ADU Hawaii is an additional dwelling unit on an existing property. It comes with a comfortable sleeping area, a bathroom, and a kitchen. It also has a parking stall. 1. A conversion of an existing building or structure. 3. An extension of the primary residence. Can an ADU be used as Rental Property? An ADU can be used as personal living space, or it can be used as a rental unit. This is great news for a family that is interested in generating passive monthly income. Please keep in mind that the lease period for the ADU must be at least six months. Contrary to popular belief, ADU’s and Ohana dwelling units are not the same. You cannot use an Ohana dwelling unit as rental property. By law, they are restricted to family members. It’s also vital to point out that they are subject to a maximum building area standard. What are the Advantages of Having an ADU? It can provide a steady stream of income – An ADU can help you generate dependable passive income. The monthly income coming from your tenant can help cover your mortgage and other expenses. Just imagine depositing extra money into your banking account every month. It will add up over time. Help the local economy – Your ADU will help support families in need of a place to stay. It will also help stimulate the construction industry. 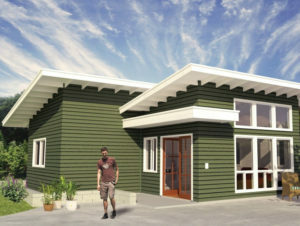 Support the campaign for sustainable living – Your ADU will be energy-efficient, and it will help reduce waste. Minimize urban growth – ADU’s offer more housing in established neighborhoods. They lower the need for new development projects in rural areas. What are the Special Requirements to Apply? 1. Your property lot must be at least 3,500 square feet. 2. One single-family dwelling must be on your lot. 3. Your property must be in a country district or residential area. 4. You, the property owner, must live on premise. 5. Your property cannot be landlocked. 6. You must offer adequate parking space on your lot. 7. You are required to fill out a restrictive covenant form. 8. You are not permitted to sell your ADU or subdivide your lot. You must fill out a Pre-Check form, provide a clear copy of the floor plan, and provide a copy of the plot plan. Once your Pre-Check form is approved, you must apply for a building permit online. It’s imperative to mention that you must have four copies of building plans ready to upload to ePlans. Before the building permit is issued to you, you must complete a restrictive covenant form. This form must be submitted to the Permit Issuance Branch. Are There any Building Requirements? You are only allowed to have one ADU on your lot. You can contact the Honolulu Department of Planning and Permitting for more information.